It took months of guessing, wondering, and trying to decipher interviews from J.J Abrams and others but we finally have an initial casting list and it’s an exciting one. We already knew Adam Driver would be playing the villain but we didn’t know who else would be joining the cast. 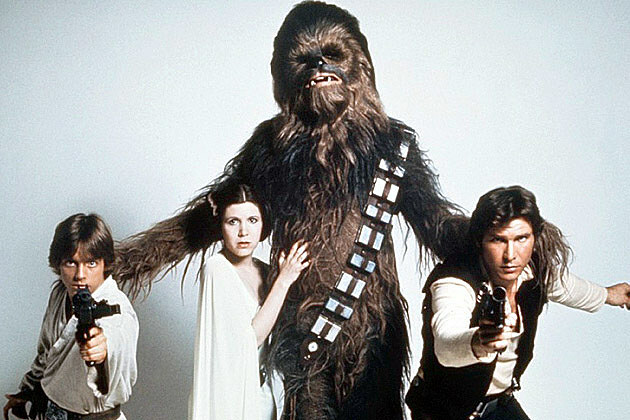 Well that information was made available via a picture sent out by Disney; the picture includes the original 6 members of the Star Wars cast Harrison Ford, Carrie Fisher, Mark Hamill, Anthony Daniels, Peter Mayhew, and Kenny Baker. As well as new additions Adam Driver, John Boyega (Attack the Block, 24:Live Another Day), Daisy Ridley( Mr.Selfridge), Oscar Isaac (Inside Llewyn Davis), Andy Serkis (Rise of The Planet of The Apes, The Hobbit), Domhnall Gleeson (The Harry Potter Series, About Time), and Max von Sydow(The Exorcist). What characters these newcomers will play is still fairly unknown, what we do know is who is returning to the cast. Mark Hamill will reprise his role as Luke Skywalker, Hamill has become a famous voice over actor with his most popular working coming as the Joker in Batman animated films, shows, and games. His last appearance as the famous villain came when he basically retired from the role after the hit video game Batman: Arkham City. Harrison Ford will return to play Han Solo, Ford has continued acting and will be appearing in The Expendables 3 later this year. Carrie Fisher or Princess Leia as she is known in the Star Wars universe has had a reoccurring role on Family Guy and will be appearing in David Cronenberg’s Map to the Stars hitting theaters later on this year. Also returning to their respective roles Peter Mayhew (Chewbacca), Anthony Daniels (C-3PO) and Kenny Baker (R2-D2), Mayhew is mostly seen at Conventions to sign autographs; Daniels made a short appearance as 3PO in the Lego Movie and has voiced C-3PO in any Star Wars animated film, as for Baker who has not done much acting in-between films, he has appeared as R2-D2 in each and every Star Wars film. 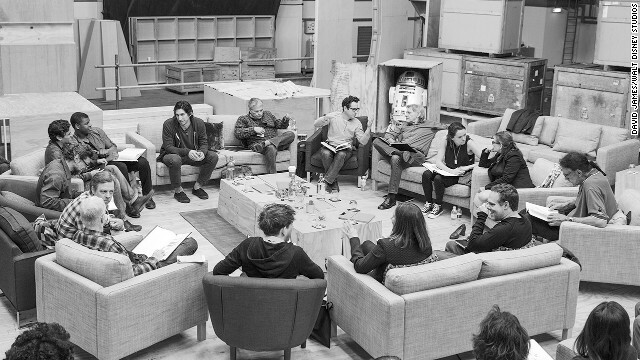 Star Wars: Episode VII is directed by JJ Abrams, written by Abrams and Lawrence Kasdan and is set to hit theaters christmas of 2015. So we have more than a year to get very excited before we feast our eyes on anything in a galaxy far far away. I was hoping and rumors were swirling that the announcement would come on May 4th because I am a nerd and May the 4th be with you...always. Either way now that we have it and I am staring at it I can make snap judgements. For one thing I love it, I am glad the original cast is returning and I hope JJ Abrams and Co have a very good storyline to force there return. I also like the new cast members, Driver and Isaac both appeared in Inside Llewyn Davis and both actors are very good up and coming stars. Gleeson went from a small role as Bill Weasley in the Potter Series to much more substantial roles in About Time and next years Brooklyn Bridge. Boyega is less surprising as his name has been floating around for a number of weeks, Attack The Block was awesome but people are already expecting big things from the young actor. Andy Serkis is a great addition to the cast and his role is exciting, will he motion capture or appear as himself? Serkis will be directing The Jungle Book and have a major role in Star Wars over the next few years, It's an exciting time for the award winning motion capture specialist. The only person we have yet to get a beat on is Daisy Ridley, she has appeared in a few BBC shows including one episode in the Jeremy Piven period piece Mr. Selfridge. She is an unknown but that worked for the original Star Wars films quite well. Max von Sydow is always a nice addition to a cast considering we don't see The Exorcist star around as much, I am pumped to see him play a wise old Jedi or deliciously evil bad guy. I know my expected reaction is to get excited but when you can manage this much up and coming talent on one screen it's hard not to. Let me know what you think! Are you as excited for another Star Wars movie? Haven't watched the films in a while? Well you can find the Star Wars: The Complete Saga here.